Samuel de Champlain boarded the Bonne-Renommée at Honfleur, France, destined for New France, as a private passenger on Gravé Du Pont's expedition. 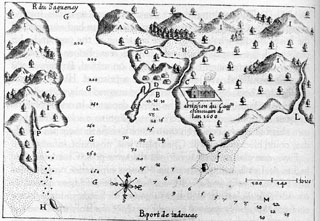 Samuel de Champlain arrived at Gaspé, where he first heard about Acadia. Ordre de Bon Temps ("Order of Good Cheer"), was founded at Port-Royal by Samuel de Champlain to maintain spirits and pass the time. Members took turns providing fresh game and, as chief steward of the day, leading a ceremonial procession to the table. The Port-Royal settlement was abandoned on orders from France. On Sept 3, after skirting the Straits of Canso and mapping the Atlantic coastline from Cape Breton to the south of Cap Blanc, Samuel de Champlain and the other voyagers headed home to St Malo. Only Poutrincourt would return, in 1610. Henri IV of France renewed de Monts's fur-trade monopoly, temporarily saving the colony at Port-Royal. As lieutenant to the Sieur de Monts, Samuel de Champlain set out on his third voyage to New France. 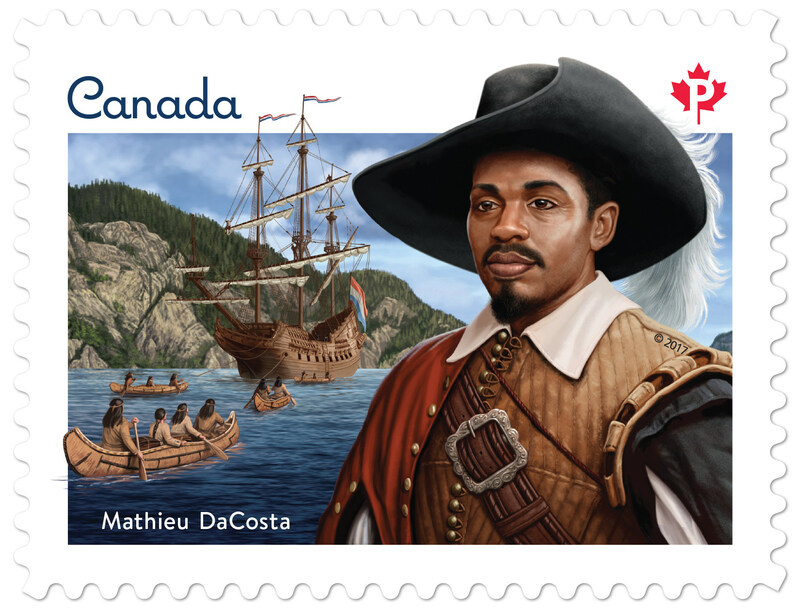 He arrived at Tadoussac on 3 June. 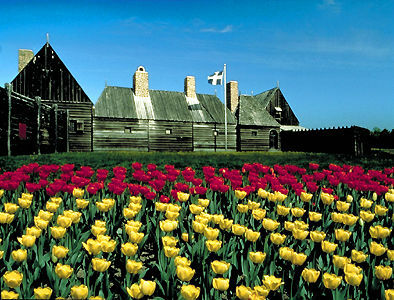 The first Jesuits to arrive in New France, Pierre Biard and Ennemond Massé, arrived at Port-Royal on May 22, 1611. Louis XIII wrote to Samuel de Champlain, commissioning him to govern New France and to do so in accordance with the laws and customs of France. From that point, Champlain devoted himself almost exclusively to administration and his career as an explorer ended. France recovered Québec from England in the Treaty of Saint-Germain, along with compensation for goods siezed when Champlain surrendered Québec. Isaac de Razilly was selected to lead an expedition to re-establish the colony of Acadia after three years of Scottish occupation. 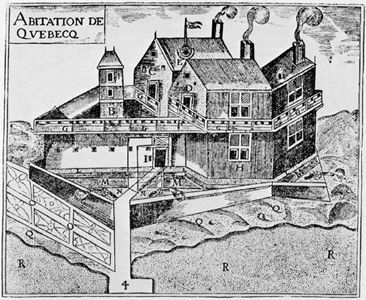 With his headquarters at La Hève and an establishment of some 300 soldiers and colonists, Razilly worked effectively to consolidate the French hold on Acadia until his unexpected death in 1635. Champlain died at Québec. He had suffered a stroke the previous October and signed his will November 17. D'Aulnay de Charnisay attacked Fort La Tour. La Tour's wife surrendered on the understanding that the garrison would be spared but Charnisay executed all the men but one, who had agreed to be executioner. Sir William Phips, adventurer, was born near Kennebec, Maine. Charles de La Tour was made governor of Acadia. Robert Sedgwick, commander-in-chief of the New England coast, captured Port-Royal. Daniel d'Auger de Subercase, last governor of French Acadia, was born at Orthez, France. The Treaty of Breda provided for French restoration of the English part of the island of St Christopher's, West Indies, in exchange for Acadia, captured from the French in 1654. Sir William Phips captured and plundered Port-Royal. The Treaty of Ryswick between England and France provided for the restoration of all Hudson's Bay Co posts seized by Pierre le Moyne d'Iberville. England declared war on France, beginning the War of the Spanish Succession; it lasted until 1713. Francis Nicholson and an English force of 2000 men captured Port-Royal. The Treaty of Utrecht was signed, ending the War of the Spanish Succession. It recognized the claim of the Hudson's Bay Co to Rupert's Land, and Acadia became a permanent English possession. 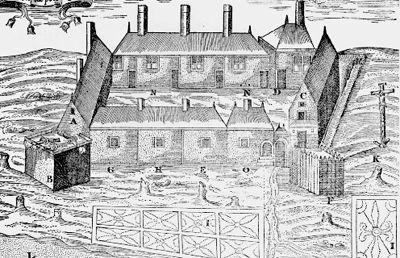 A contract was signed for the building of the King’s Bastion and citadel barracks of Louisbourg. 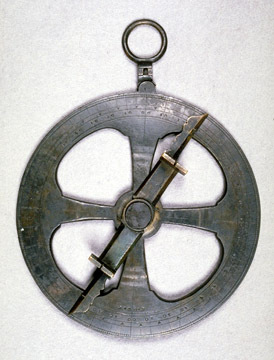 Contractor Michel-Philippe Isabeau became known for his speedy work but also for his poor bookkeeping, exploitation of contract loopholes and habit of paying workers in goods (especially liquor). Isabeau died in 1724, and the work was carried on by others for another 20 years before the great fortress was finally complete. Britain declared war on Spain, opening the hostilities that led to the War of the Austrian Succession, called King George's War in the colonies. 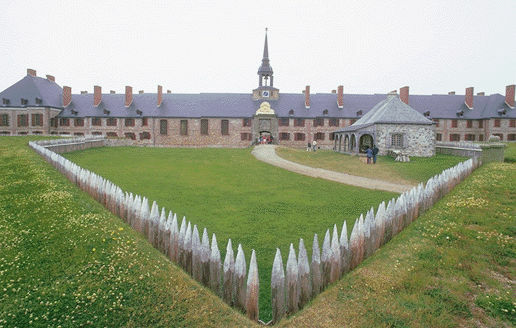 The fortress of Louisbourg surrendered to the English. Claude de Ramezay, guided by Acadians, attacked the British position at Grand Pré. The Treaty of Aix-la-Chapelle ended the War of the Austrian Succession. 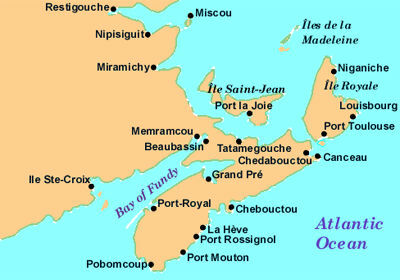 PEI, Cape Breton Island and Louisbourg were returned to France. 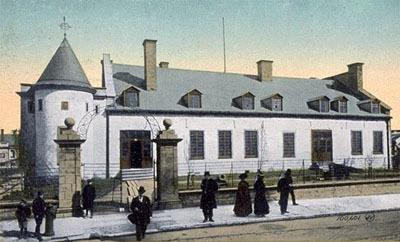 Acadian delegates who refused the oath of allegiance were dispersed from Minas, and over the next few months most of the Acadian population of Nova Scotia was rounded up and transported away. About one half of the Acadians perished. The fortress of Louisbourg surrendered for the last time. The French inhabitants were returned to France. Brigadier-General Andrew Rollo, the 5th Lord Rollo, captured Île Saint-Jean (now Prince Edward Island) from the French at the height of the Seven Years'' War. Roughly 3,500 Acadians were swiftly repatriated to France whilst Rollo constructed Fort Amherst in honour of, and on orders from, General Jeffrey Amherst. The Treaty of Paris was signed, ending the Seven Years' War. France ceded to Britain all North American possessions except Saint-Pierre and Miquelon off Nfld, and Louisiana (sold in 1803). The treaty authorized freedom of religion in the colony. The Royal Proclamation was issued by King George III, setting the western boundary of British settlement following the Seven Years War. Historic, foundational, flawed, the Proclamation stated that Aboriginal title had existed and continued to exist. All land was considered Aboriginal land until ceded by treaty, which could only be annexed by the Crown. New Brunswick was established as a separate colony from Nova Scotia. Edward Barron Chandler was born in Amherst, Nova Scotia. Popular in New Brunswick’s political circles, Chandler served in the House of Assembly. A Father of Confederation, he attended the major Confederation conferences, though he did not support Sir John A. Macdonald’s push for centralization. New Brunswick and Maine clashed over lumbering in what became known as the Aroostook War (sometimes called the Pork and Beans War), over the undefined border. Sir Pierre-Amand Landry, lawyer, politician, judge, first NB Acadian Cabinet minister and Supreme Court judge, and the only knighted Acadian, born at Memramcook, NB. Evangeline is a narrative poem (1847) by Henry Wadsworth Longfellow inspired by the expulsion of the Acadians in 1755. 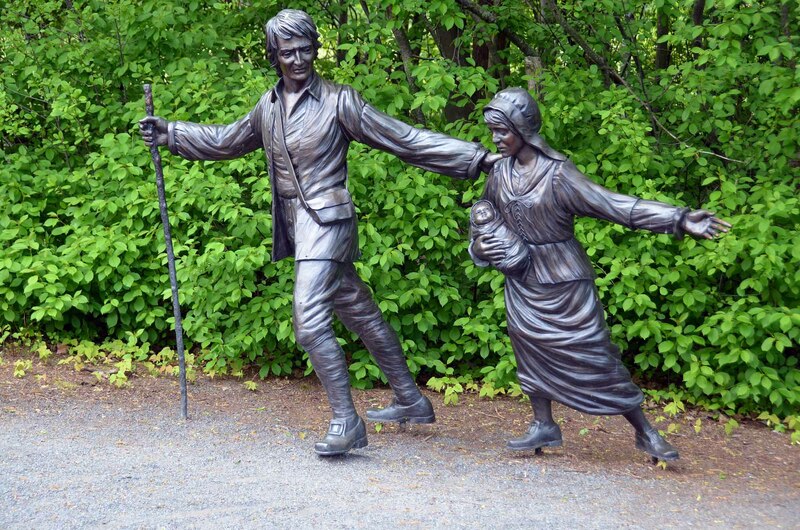 The poem tells of the love and wanderings of two young Acadians, Évangéline Bellefontaine and Gabriel Lajeunesse, who, the day after their betrothal, were deported from Grand Pré, NS, on different Louisiana-bound ships. The pair are reunited years later in a Philadelphia almshouse where she, now a Sister of Mercy, finds him destitute and dying. Pascal Poirier, one of the leading figures of the Acadian Renaissance, was born in Shediac, NB. In 1885, he became the first Acadian appointed to the Senate. Stanislas-François Poirier (Perry) became the first Acadian elected to the House of Assembly of Prince Edward Island. Twenty years later, in 1874, he became the first Acadian Member of Parliament. Born in Richibucto, NB, Peter John Veniot, "Pierre," is the first Acadian NB premier from 1923 to 1925 (non-elected). He succeeded W.E. Foster as premier in 1923 and supported public ownership of the provincial hydro system and the Maritime Rights Movement. He was recognized as the leader of Acadian Liberalism. Following the defeat of his party in 1925, he ran successfully as MP for Gloucester and was appointed postmaster general by PM King. He sat as an MP until his death in 1936. Father Camille Lefebvre, member of the congregation of the Fathers of Sainte-Croix, founded the Collège Saint-Joseph in Memramcook, New Brunswick. The establishment of this institution was significant because the graduates quickly began to play active roles in the Acadian community and, with the help of the clergy, started questioning their own identity and asserting their aspirations as francophones in an anglophone environment. Collège Saint-Joseph was one of three colleges that merged in 1963 to become the Université de Moncton. The first Acadian newspaper, Le Moniteur Acadien, was founded by Israël Landry in Shediac, New Brunswick. The paper, whose first issue appeared on 8 July 1867, marked the beginning of the Acadian Renaissance. Premier of PEI Aubin-Edmond Arsenault was born at Egmont Bay, PEI. Arsenault was the first Acadian premier of any Canadian province. The New Brunswick government passed the Common Schools Act to strengthen and reform the school system. At the same time, it abandoned an informal system of separate schools that had grown up since the 1850s. Stanislas-François Poirier (Perry) became the first Acadian Member of Parliament, twenty years after becoming the first Acadian elected to the House of Assembly of Prince Edward Island. Edward Barron Chandler, a Father of Confederation, died in Fredericton, NB. Born to a prominent family, Chandler was deeply involved in the region’s politics. He was interested in constructing a Maritime rail line to Québec City and developing ties with the United States. Chandler also fought for Acadian language and cultural rights. 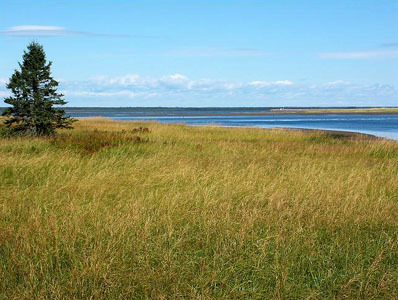 The first National Acadian Convention was held in Memramcook, New Brunswick. Chaired by MP Pierre-Amand Landry, the convention drew over 5,000 people and saw the establishment of National Acadian Day on 15 August, Assumption Day. 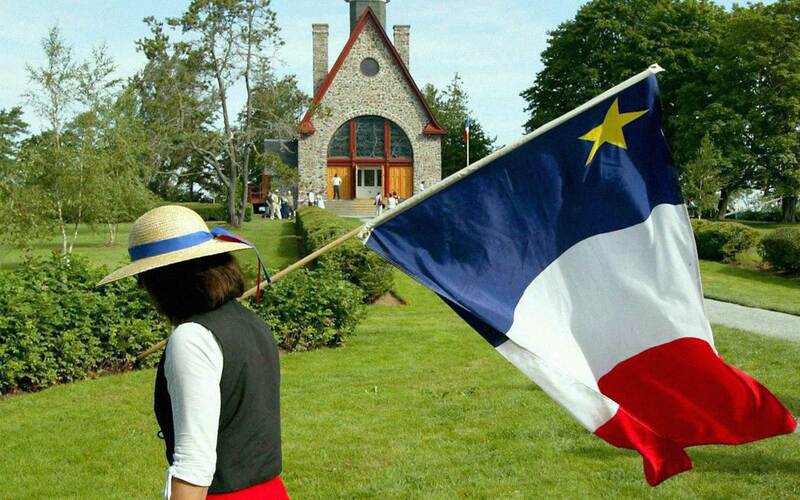 In 1884, Miscouche hosted the historic second Convention nationale acadienne (National Acadian Convention), during the course of which delegates adopted all the national symbols Acadians use today: the flag (the French tricolour with a yellow star in the blue stripe), the national anthem (Ave Maris Stella), the motto (“L’Union fait la force” or “Unity makes strength”) and the crest. 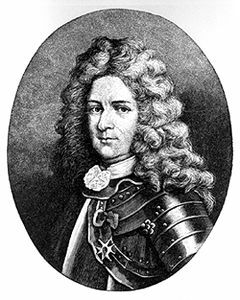 A leading figure of the Acadian Renaissance, Pascal Poirier, of Shediac, NB, became the first Acadian appointed to the Senate. Established by Valentin Landry in Digby, Nova Scotia, this Acadian newspaper was moved to Moncton, New Brunswick in 1905 and published until 1982. College Sainte Anne (today Université Sainte-Anne) was founded at Church Point, Nova Scotia by the Eudist Fathers and offered instruction in French. After decades of petitions from Acadians, the Vatican appointed the first bishop of Acadian origin to the Episcopal seat of Saint John, New Brunswick. Born in Inkerman Ferry, NB, Gilbert Finn is an Acadian businessman. After working 37 years at the Assumption Mutual Life Assurance Co, he served on the Atlantic Provinces Economic Council and the Economic Council of Canada, was president of the Université de Moncton and was active in Acadian and New Brunswick community groups. His service to his people and province was rewarded with membership in the Order of Canada. Upon his retirement in 1987 he was appointed lieutenant-governor of New Brunswick, the second person of Acadian descent to be so honoured. He served in this capacity until 1994. Born in Richibucto, NB, Peter John Veniot, "Pierre," was the first Acadian NB premier and served from 1923 to 1925. He succeeded W.E. Foster as premier in 1923 and supported public ownership of the provincial hydro system and the Maritime Rights Movement. He was recognized as the leader of Acadian Liberalism. Following the defeat of his party in 1925, he ran successfully as MP for Gloucester and was appointed postmaster general by Prime Minister W.L. Mackenzie King. He sat as an MP until his death in 1936. Celebrated Acadian novelist Antonine Maillet was born at Bouctouche, NB. Angèle Arsenault was a pioneering Acadian singer-songwriter. She was renowned for her catchy, upbeat melodies, playful social commentary and distinctive humour. 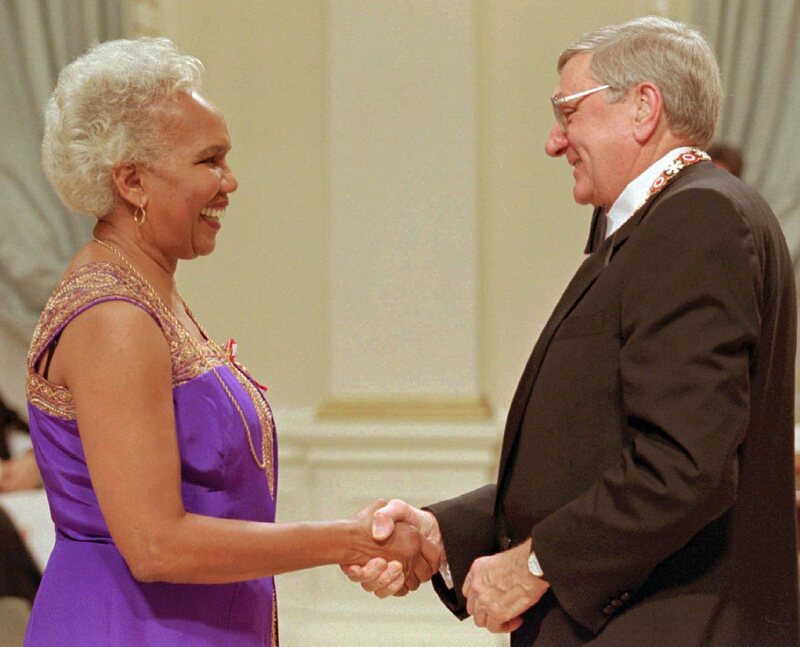 She was perhaps best known for the songs “Évangéline, Acadian Queen,” “Je veux toute la vivre ma vie,” and the Acadian anthem “Grand-Pré.” An Officer of the Order of Canada and a Member of the Order of Prince Edward Island, she received the Ordre de la Pléiade from the Association of French-Speaking Parliamentarians for her role in promoting French language and culture. Jacques Savoie, Acadian musician, author, screenwriter (born 3 February 1951 in Edmundston, NB). Savoie has left his mark on French-Canadian literature, television and film. A founding member of the Acadian musical group Beausoleil Broussard, he is also the author of close to 20 novels, including Raconte-moi Massabielle and Les Portes tournantes, both of which have garnered many international awards and been made into films. 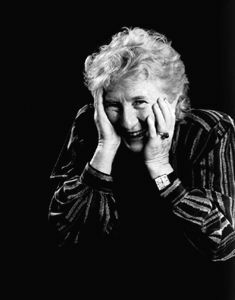 Photographer Raymonde April, whose practice has influenced the development of photography in Québec and Canada, was born at Moncton, NB. Elected leader of the NB Liberal Party in 1958, Louis Joseph Robichaud led it to victory over Hugh J. Flemming in 1960, served as attorney general between 1960 and 1965, and as minister of youth in 1968. The first Acadian elected premier of NB, he introduced far-reaching social reforms through the centralizing Programme of Equal Opportunity. His government passed an Official Languages Act, established Université de Moncton, increased Acadian administrative influence, and encouraged the mining and forestry industries. 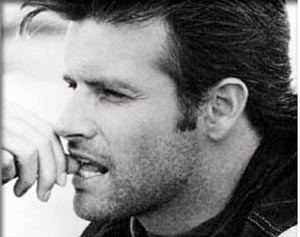 Roch Voisine, popular award winning Quebec singer, was born at St Basile, NB. Université de Moncton was founded by the New Brunswick legislature in accordance with the recommendations of a royal commission. Université de Moncton began with the amalgamation of three institutions which agreed to suspend their charters in order to become affiliated colleges: Saint-Joseph (founded 1864), Sacré-Coeur (1899) and Saint-Louis (1946). As amended in 1977, the university's charter authorized campuses in each of New Brunswick's three francophone regions: Moncton, Edmundston and Shippagan. 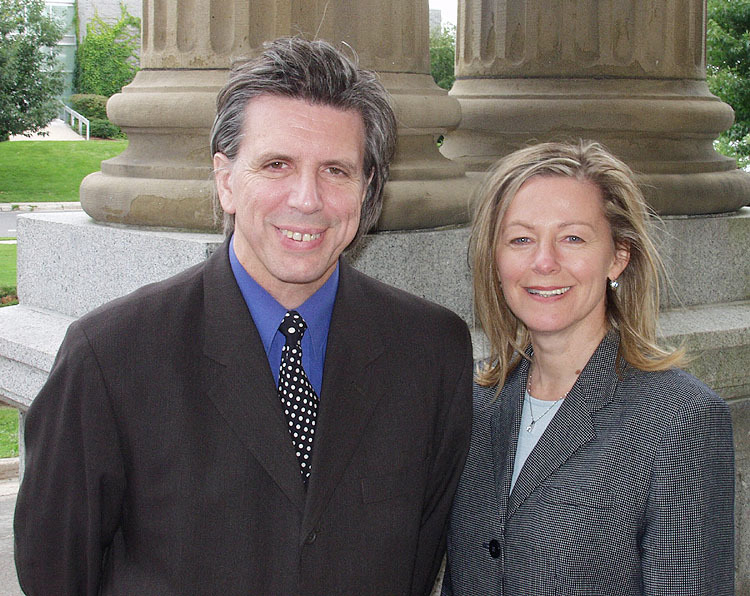 New Brunswick became the first province to draft statutes in both official languages. 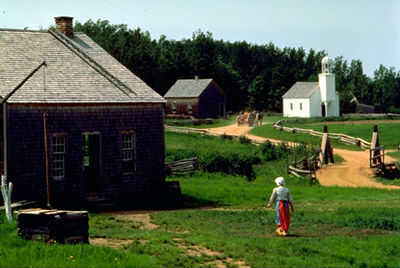 The Acadian Historical Village (Village historique acadien) is an ambitious living history site located on the Rivière-du-Nord near Caraquet, NB, in the heart of the Acadian Peninsula. It presents the rich tangible and intangible cultural heritage of the large Acadian population who settled in this province. The first Acadian Games (Jeux de l’Acadie) were held in Moncton from 29 August to 1 September 1979. The first Congrès mondial acadien (World Acadian Congress) was held in Moncton and various communities of southeastern New Brunswick from 12 August to 22 August 1994. Born in Tracadie-Sheila, NB, Rose-Marie Losier-Cool became the first Acadian woman appointed to the Senate. PM Jean Chrétien named Justice Michel Bastarache to fill the vacancy left on the Supreme Court by Gerard LaForest. He became the first Acadian appointed to the Supreme Court of Canada. Camille Henri Thériault was sworn in as premier of New Brunswick. The New Brunswick Progressive Conservative Party won a surprising landslide victory in the provincial election. Thirty-three-year-old Bernard Lord became premier. Moncton, NB, became the first officially bilingual Canadian city. 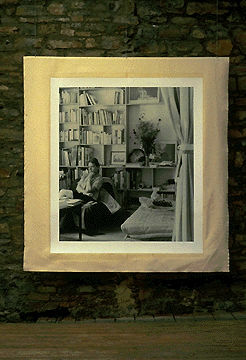 Herménégilde Chiasson was born 7 April 1946 in Saint-Simon, NB. He is an artist, poet, playwright, film director and lieutenant-governor of New Brunswick. An Officer of the Order of Canada, winner of the Governor General’s Literary Award, and New Brunswick's 29th lieutenant-governor, Chiasson is considered the father of Acadian modernism and is one of Canada's foremost advocates of Acadian culture and the arts. He is also notable for his insistence upon Acadian culture being a living culture rather than a persecuted and exiled one. 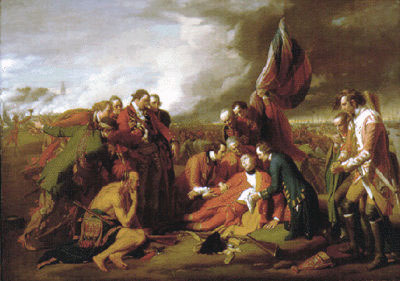 In a royal proclamation, Governor General Adrienne Clarkson recognized the responsibility of the British Crown in the decision to deport the Acadian people in 1755 and its tragic consequences. Since 2005, 28 July has been designated Day of Commemoration of the Great Upheaval. To mark the 250th anniversary of the deportation of the Acadian people in 1755, 28 July officially became Canada's Day of Commemoration of the Great Upheaval, as set by the Royal Proclamation of 6 December 2003. Born in 1942 in Paquetville, NB, Édith Butler has popularized a number of traditional Acadian songs. 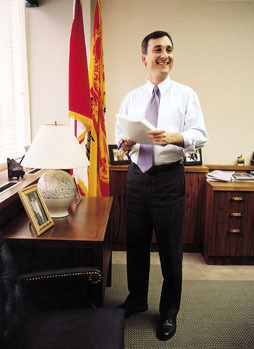 A fluently bilingual Acadian, LeBlanc was selected by PM Jean Chrétien in 1994 to succeed Ray Hnatyshyn as Governor General of Canada. Roméo LeBlanc was the first Maritimer and first Canadian of Acadian descent to hold the vice-regal office. France Daigle, an Acadian author born 18 November 1953 in Dieppe, a suburb of Moncton, New Brunswick, is the leading representative of postmodern Acadian literature. Her work has sparked a great deal of interest in Québec, English Canada, and other parts of the Francophonie. She won the Governor General’s Literary Award for her masterpiece entitled Pour sûr (2011). Brian Alexander Gallant was born 27 April 1982 in the Acadian community of Shediac Bridge, New Brunswick. He was a lawyer and leader of the New Brunswick Liberal Party. At 32 years of age, he became the country’s youngest premier. Gallant is the son of Pierre Gallant, who is of Acadian heritage, and Marilyn Scholten, the daughter of Dutch immigrants. Born 3 September 1920 in Inkerman Ferry, NB, Gilbert Finn is an Acadian businessman. After working 37 years at the Assumption Mutual Life Assurance Co, he served on the Atlantic Provinces Economic Council and the Economic Council of Canada, was president of the Université de Moncton and was active in Acadian and New Brunswick community groups. His service to his people and province was rewarded with membership in the Order of Canada. Upon his retirement in 1987 he was appointed lieutenant-governor of New Brunswick, the second person of Acadian descent to be so honoured. He served in this capacity until 1994.